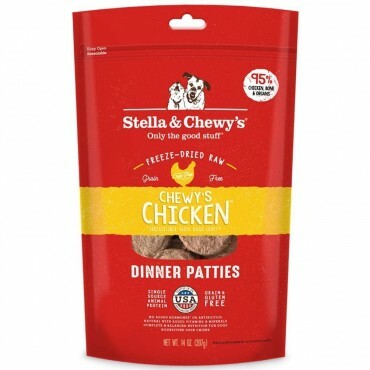 Stella & Chewy’s Freeze Dried Raw Dinner Patties are a great way to introduce raw food into your dog's diet. It's easy to prepare and convenient. Simply grab the required amount of patties, break or crumble them into your dog's bowl and rehydrate with some water if preferred. Because the food is freeze-dried it is not cooked and minimally processed . This ensures that the nutritional value of raw meat, minus the water are retained in the food. This not only mirrors your dog's ancestral diet, but locks in the flavor of the food which makes it extra tasty for picky eaters!